In search of an online fertility doctor who can deliver the results you desire by enhancing fertility and increasing your chances of conceiving? Dr. Marc Sklar offers a variety of online fertility programs that cater to the varying needs of clients who face problems with infertility and conception. Many couples understandably become discouraged when their repeated attempts at pregnancy fail, even with IVF or other treatments. There are other solutions that are completely natural! What many don’t know is that acupuncture, alternative medicine, nutrition, and the connection between mind and body are huge factors when it comes to fertility. Dr. Sklar will help reveal possible issues that could be impacting your fertility, or that of your partner. It is free and takes just a couple of minutes of your time, and helps us determine the possible problems and what treatment or therapies may be most effective in your unique situation. While each case is different, for many people simple changes in diet, stress reduction, or eliminating unhealthy habits can be all it takes to increase fertility. Integrative medicine and lifestyle changes have proven extremely effective in helping couples realize their dreams of having a baby. 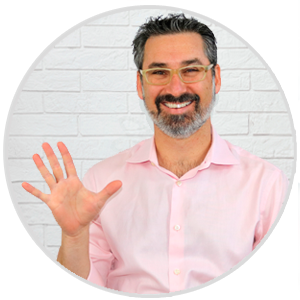 While Dr. Sklar maintains several clinics throughout southern California and has been recognized as a fertility expert for 15 years, he offers several online fertility programs for clients across the nation including the extensive 1 on 1 Fertility Program, My Fertility School, The PCOS ecourse and more. Both women and men may have problems that prevent pregnancy from becoming a reality, but sometimes determining what those issues are is very difficult. We urge you to take action today and schedule an online consultation with Marc Sklar who has also developed many resources including ebooks, fertility meal plans, and other products focused on improving fertility. Please click below to learn about our online fertility consultation.